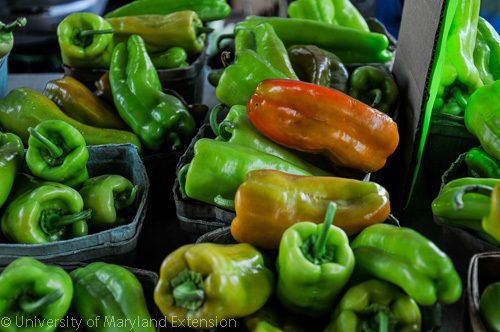 Can’t grow it local? 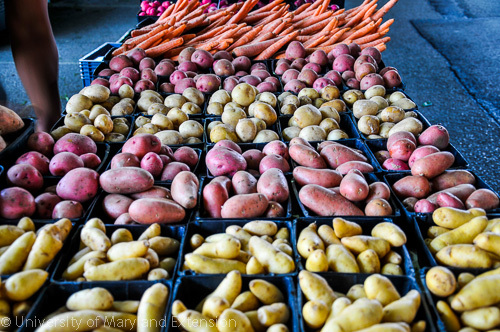 Then get yourself to a farmers’ market and BUY LOCAL! If you can’t grow your all of your own food (and who really can? 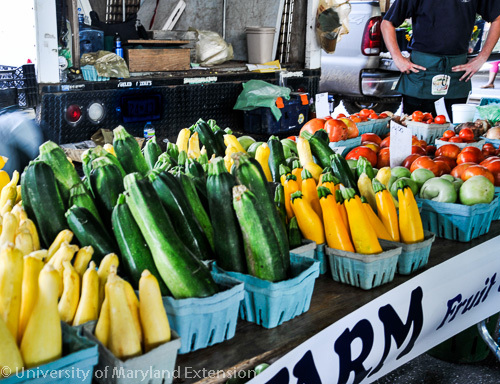 ), then by all means BUY LOCAL! 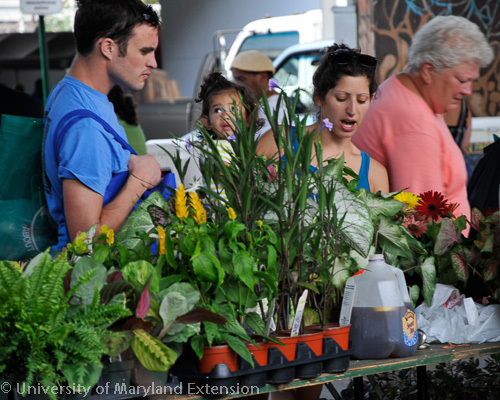 Even if you do have your own lush garden, a trip to the Farmers Market is a great experience! 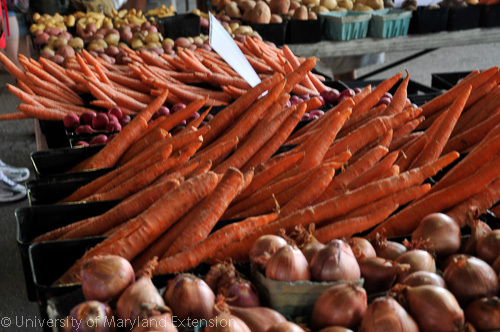 Go to the Maryland Department of Agriculture’s website to find a local farmers market. 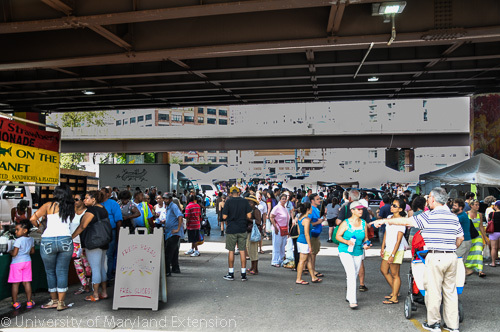 I experienced the Baltimore Farmers’ Market & Bazaar for the first time last Sunday – and it IS an experience! I can’t believe it has taken me so long but, believe me, I’ll be back. Strolling through the throngs of visitors and vendors under the JFX, all of my senses were on overload! Before we even got inside the perimeter, savory smells of cooking food wafted out drew us in. Hot coffee and fresh squeezed lemonade were the first vendors I saw. The smell of fresh baked sweets pulled us around the corner to begin our tour. 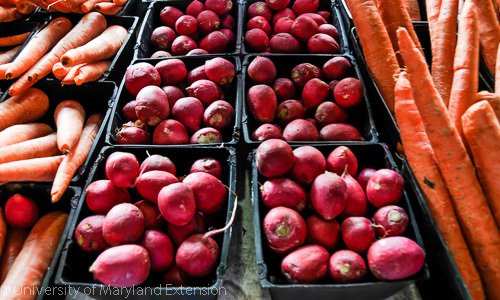 Long walkways are lined on both sides with Maryland’s best fresh fruit and vegetables. The JFX is overhead so it is shady on a hot day and dry on a rainy day. 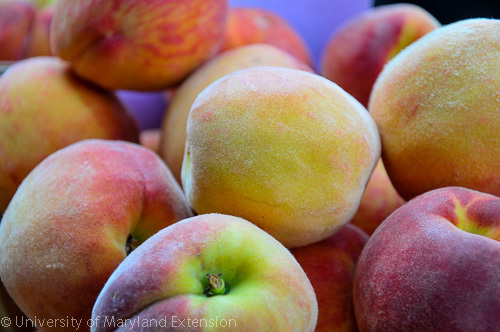 Perfect specimens of every in-season fruit and vegetable grown in Maryland can be found. And the variety is amazing! 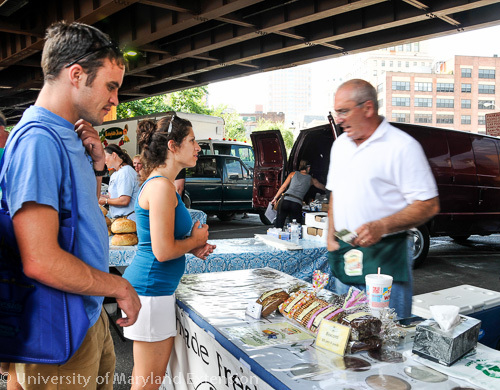 Tasting samples ensure you get the sweetest peaches around or the perfect flavored goat cheese spread. Go ahead and take a minute to wipe the drool sliding down your chin. 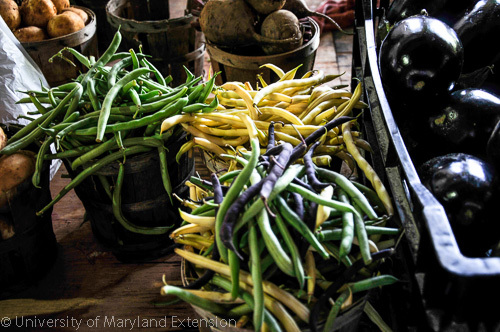 eggplant, and green beans are on display. And many in come in a variety of colors! 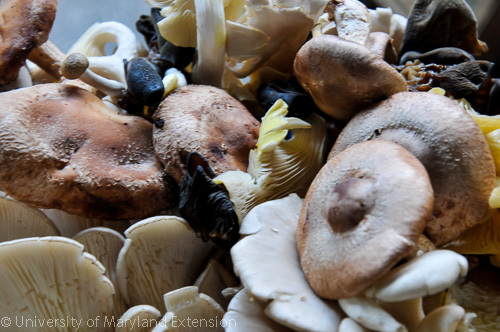 I marinated a mixture of fresh wild mushrooms in EVOO, balsamic vinegar, S and P, freshly chopped marjoram and winter savory. Then I grilled them wrapped in foil. Oh, my my, it was heavenly and we sopped up the juice with fresh rustic Italian bread! It was a perfect pairing with the fresh pesto and gorgonzola gnocchi I bought that were sold along with stuffed ravioli. 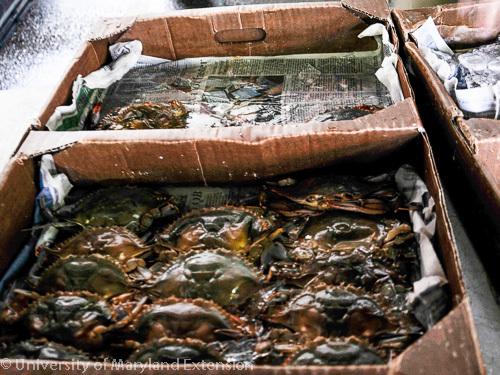 There were even vendors with live soft shelled crabs and fresh fish. 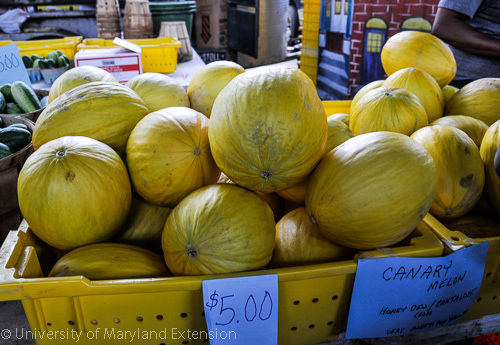 Fresh cut flowers, potted flowers, and vegetables plants ready are scattered throughout the market ready for a home in your garden. Potted hibiscus/mallow ready to plant. 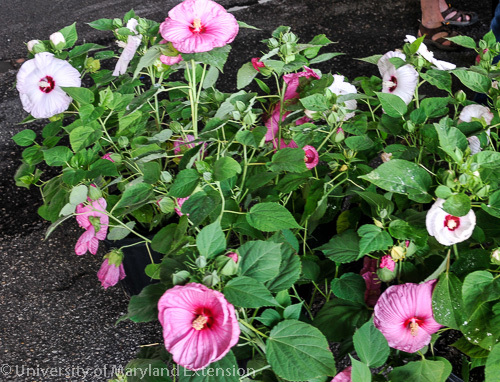 What is a good organic fertilizer for your plants, you ask? 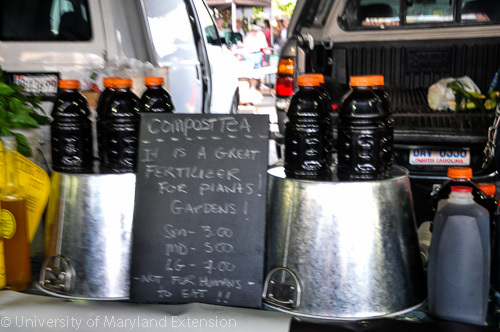 Why, Compost Tea, of course! A super cocktail just for your plants. 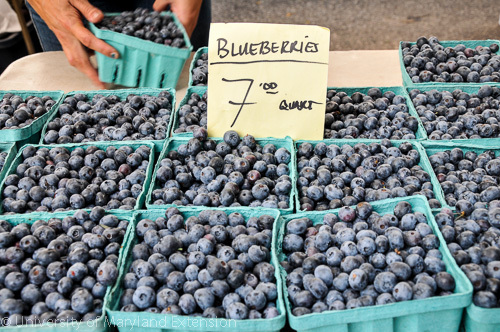 I hope this little tour of the farmers market entices you to find a market near you and BUY LOCAL!! !